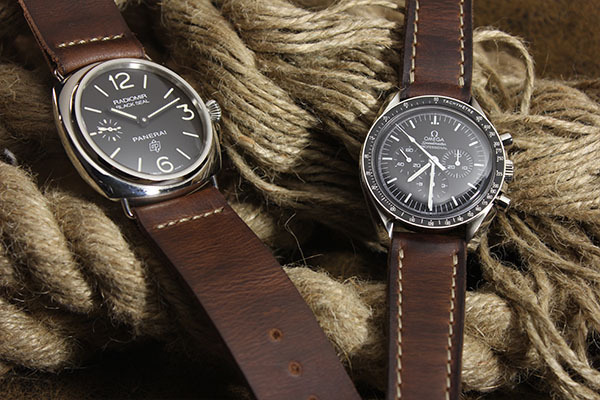 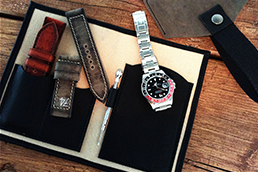 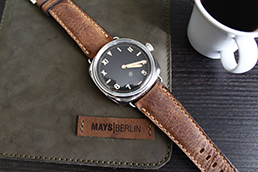 This authentic watch strap is fully handcrafted in Berlin and part of our "Project Arillo". 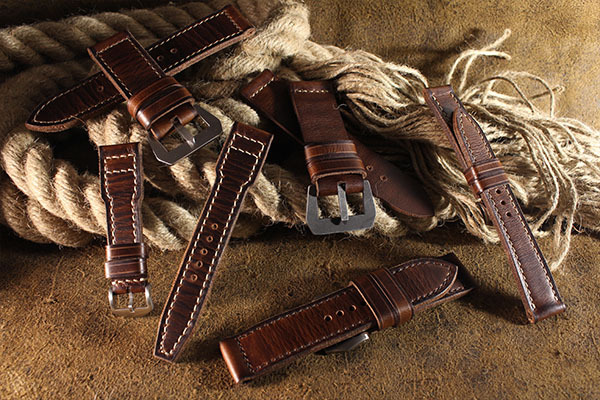 This type of watch straps became popular in the beginning of the 19th century. 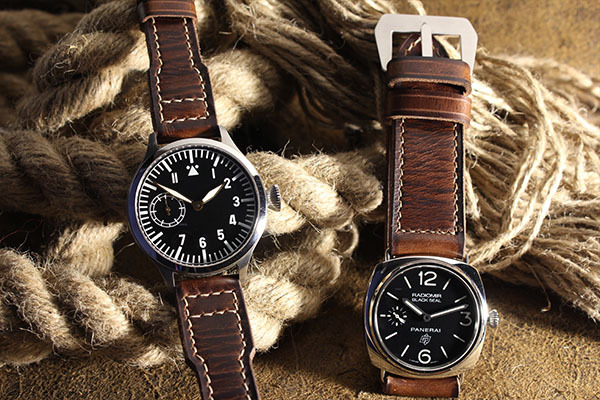 At that time mostly watches had fixed ludges. 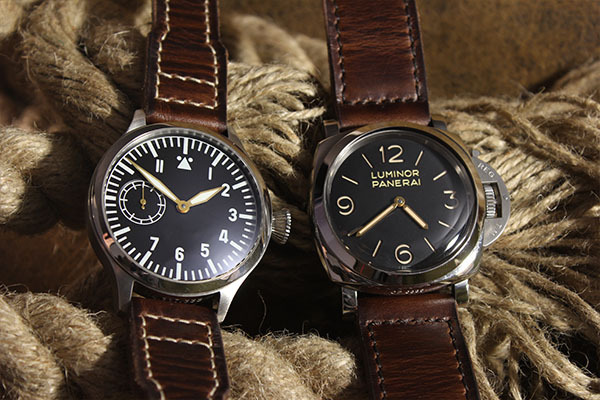 A lot of people also started to braze bars to their pocket watches. 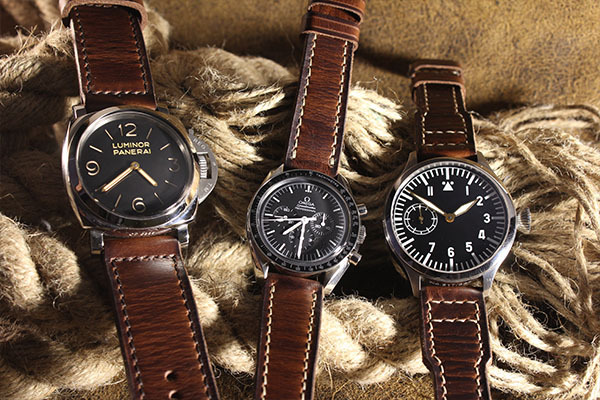 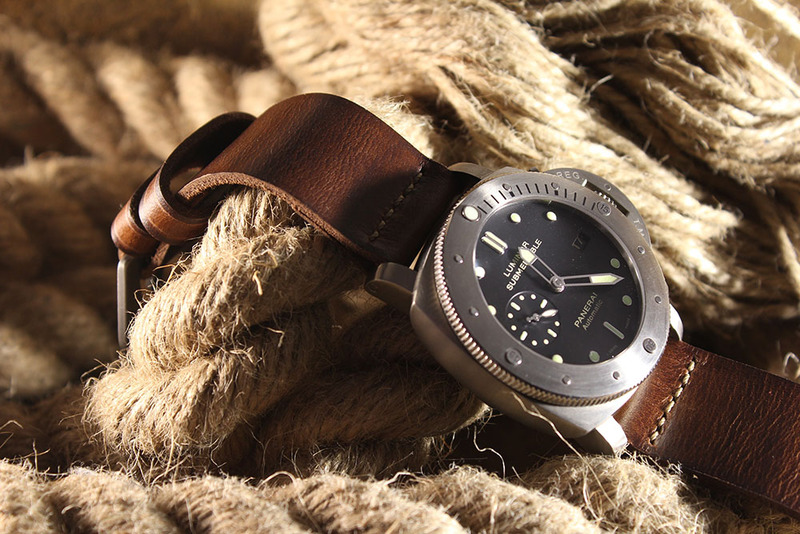 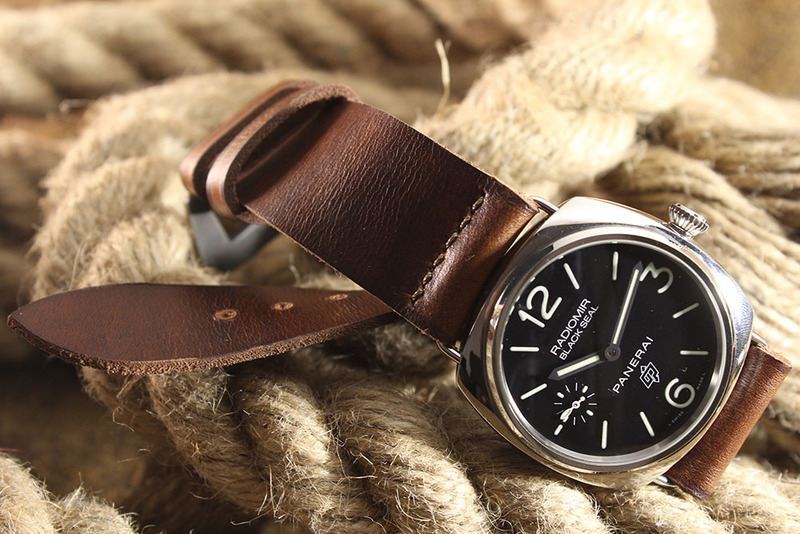 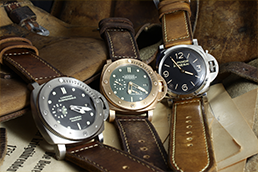 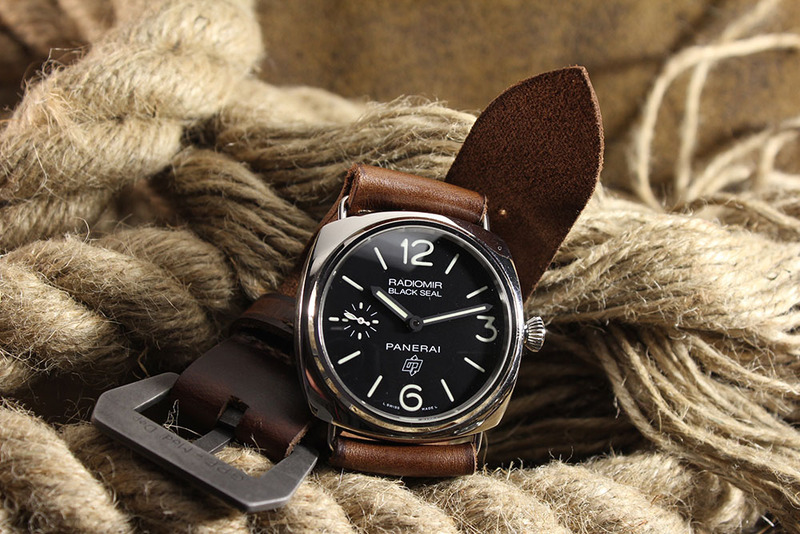 The first Panerai Radiomir watches had also fixed bars, because of this you can see this special type of watch straps often sewn in to these watches. 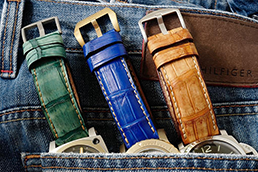 The wearing comfort of this type of watch straps is very special and something every Paneristi should try! 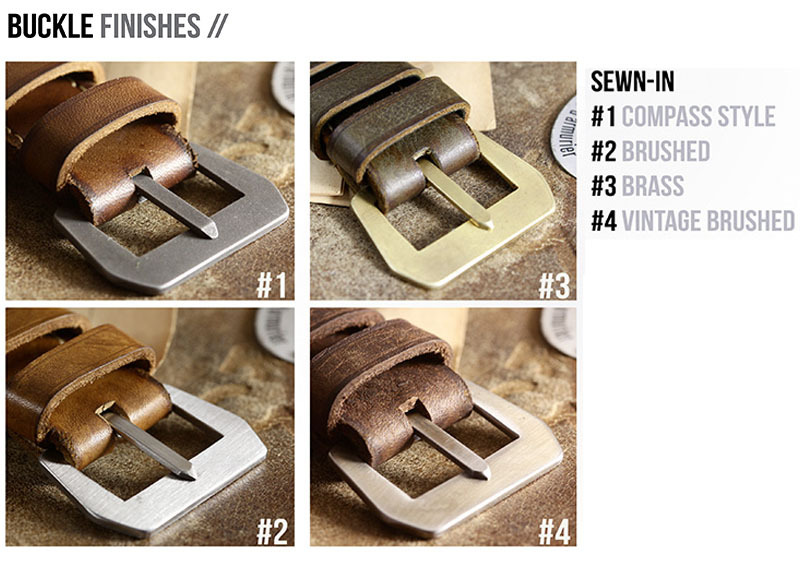 Our "Minimal 1930" will also be delivered with our fully handcrafted high end sewn in buckles. 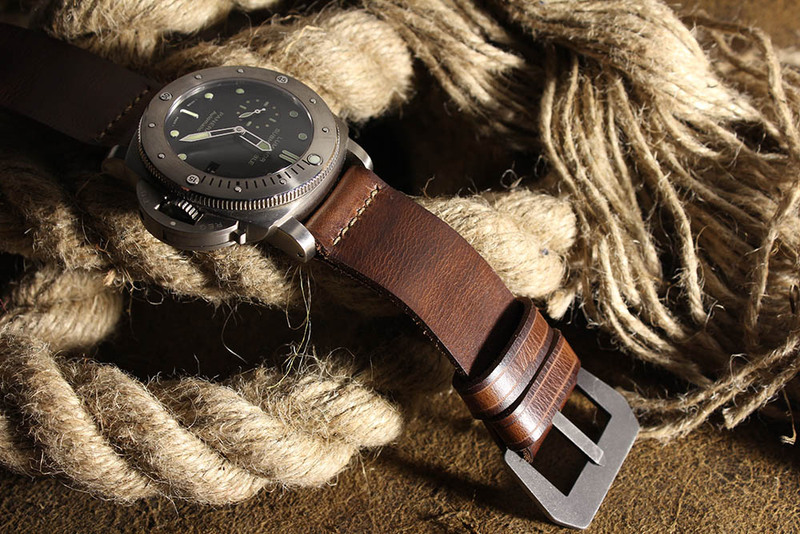 Of course you can find the correct "GPF-Mod Dep." 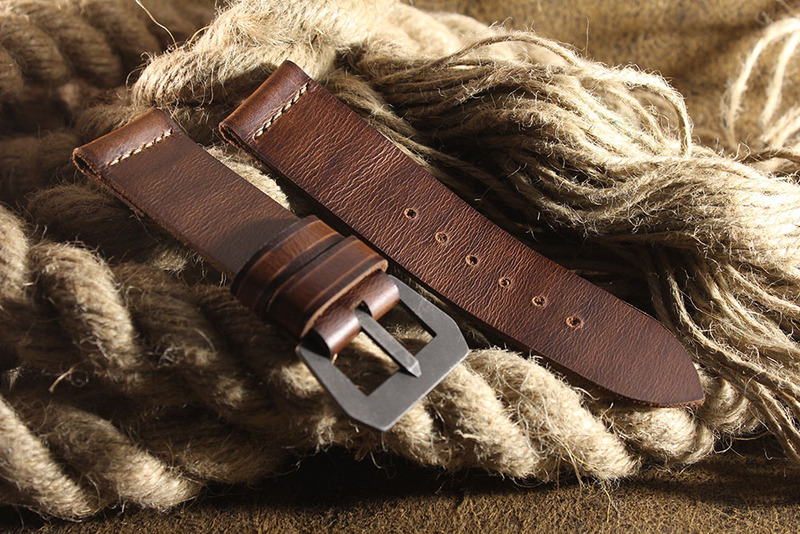 engravement on the backside of the buckle.